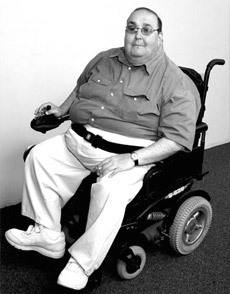 The disability community lost a strong advocate on April 6 when San Francisco Human Rights Commissioner August J.P. Longo died unexpectedly in his home. In addition to his Commissioner title, August was well known for his role on the City’s Access Appeals Board, his position as Regional Director of the State Democratic Party, and other activism in state and local politics. Less known was his advocacy for accessible health care. It was in this capacity that my co-counsel Linda Dardarian and I came to know and appreciate August Longo. Structured Negotiations is an advocacy and dispute resolution process that focuses on solution and collaboration. The process begins when an individual or organization comes forward with a legal claim — and with a desire to find a solution to that claim outside of the litigation process. In an effort to avoid “litigation language” with its connotations of adversaries and procedure, the individual or organization in Structured Negotiations is known as a Claimant. August Longo was the consummate Claimant. August was the Claimant in a Structured Negotiations with UCSF Medical Center regarding accessible facilities, services and programs. The negotiations began after August, who used a wheelchair for mobility, was admitted as a patient to UCSF’s Long Hospital and discovered that there were no in-patient rooms with accessible bathrooms. None. While some patients may have assumed there was nothing they could do about the problem, August sought out the hospital’s ADA coordinator to find out as much as he could and advocate for accessibility. Still others faced with an inaccessible hospital bathroom would have sought to file a lawsuit after such an experience. Not August. Instead, he contacted us to see if the Structured Negotiations process might be used to improve accessibility at UCSF Medical Center. The Medical Center became a willing participant in Structured Negotiations, and because of August’s advocacy, UCSF’s Long Hospital on Parnassus Street, despite its age, now has several accessible in-patient rooms. But the story doesn’t end there. August appreciated, and frequently commented about, the excellent staff working at UCSF Medical Center. Yet his on-going experiences there made him aware of additional accessibility issues that could potentially compromise the quality of care received by patients with disabilities. There was an inadequate supply of accessible medical equipment. Some treatment rooms were not large enough for wheelchair riders to maneuver in. Even when appropriate space or equipment was available, staff often lacked training in its use and presence. Appropriate policies and technology were often lacking for patients and visitors with sensory disabilities. And the patient registration system did not appropriately track and inform medical personnel of the needs of patients with disabilities. In many situations, a class action lawsuit with multiple plaintiffs would be needed to address the types of systemic disability access issues identified at UCSF Medical Center. But August Longo’s patience and good natured attitude, UCSF’s willingness to work on solution instead of engage in procedural battles, and the avenues available through Structured Negotiations proved to be a winning combination. Throughout two years of negotiations, August remained steadfast and determined, concerned about issues broader than his own. The result was a comprehensive agreement addressing cross-disability policies and procedures, accessible medical equipment, architectural barriers, patient registration and staff training. Read the Longo / UCSF Settlement Agreement. Read about the Barrier Free Health Care Initiative, a collaboration that grew, in part, out of the Structured Negotiations experience with UCSF. August was actively involved in monitoring the agreement at the time of his death. His Structured Negotiations activism is a reminder of the difference one person can make in improving the quality of life for many.